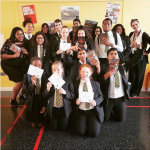 Give a Book was delighted to have a chat to Janet Ellis the former Blue Peter presenter and now novelist. 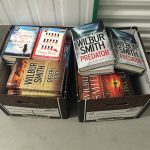 Janet volunteers for the excellent Doorstep Library a children’s literacy support charity, whom we are pleased to support with books. 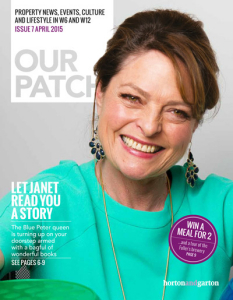 4 years ago an ad for Doorstep Library in The Standard caught Janet’s eye – reading had always been an important part of her life and the prospect of sharing books she loved really chimed for her. Volunteers work in pairs, carrying a rucksack full of books, and small stools to sit on. 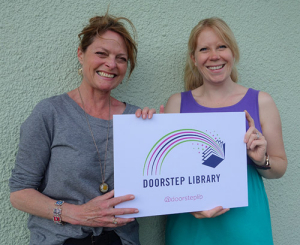 Janet and Katie Bareham, Project Manager, proudly display Doorstep’s new logo. Janet and her co-volunteers meet every Monday after school, they have a store of books that they pack up into their rucksacks and then head off to read to the children in their homes. Doorstep Library currently works in 5 disadvantaged areas in Hammersmith and Fulham on 3 days a week. They just knock on doors and ask if there are any children in there who’d like to read or hear a story. There’s no compulsion or commitment needed from the kids and they don’t have to finish the book if they don’t like it – it’s emphatically not like school. But there’s a comforting as well as enjoyable continuity and regularity about their visits. Janet herself read voraciously as a child and loves to share the children’s classics she had enjoyed such as Black Beauty, Heidi, National Velvet, What Katie Did, but as she says, timing of when you read something is crucial. 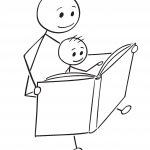 Doorstep Library currently reaches 155 families – about 350 children in the Hammersmith and Fulham area. Janet’s novel, A Little Learning; or, The Butcher’s Hook, is coming out in February 2016. 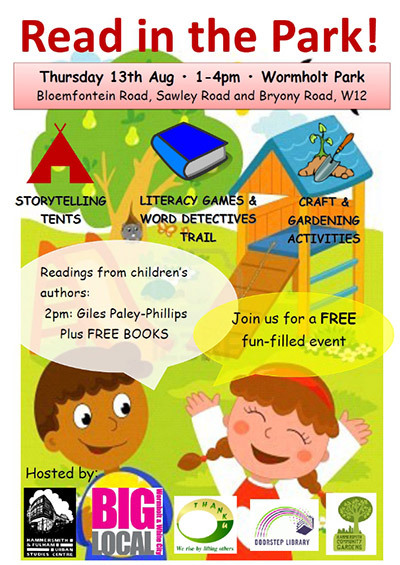 Doorstep Library hosts an annual Read in the Park event for which Give a Book is pleased to supply books.